Every monsters needs some slime. 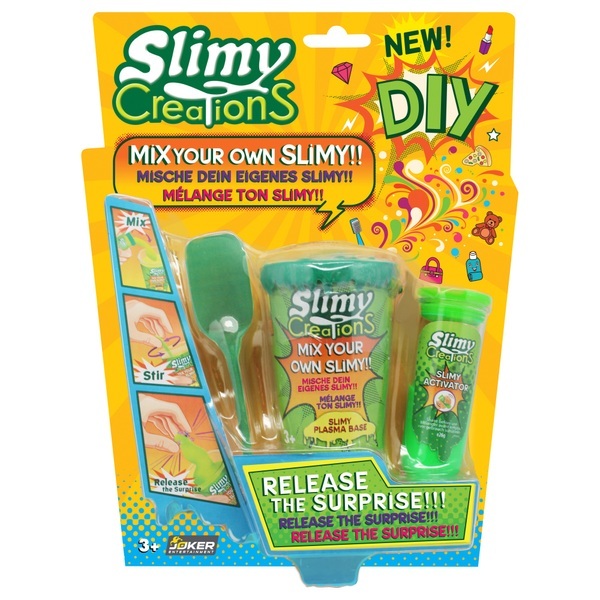 This Monster Creation Slimy Assortment has 4 colours to collect. Green, Red , Purple and Gold (Each sold separately) It's easy to use, mix and store. Do not let slime come in contact with clothing or surfaces.